We all swimming in the pool of smart phones know that the slide to unlock gesture to unlock the smart phone is a very well thought of gestures. There are no more pulling of switches on the side of the smart phone, or using a combination or keys on the keypad to unlock the smart phones, as founds in most of the phones of the pre-iPhone age. After Apple came up with that gesture of unlocking, a lot of smart phone manufacturers turned to that. And obviously, Apple got irritated and filed a patent. This means that any kind of gesture on the display of a smart phone which is used to unlock the smart phone is an Apple technology now. And on Android’s latest editions, we are familiar with a gesture where along with unlocking the smart phone, you can even open an app. That is open-to-app function. Apple was a granted a patent for even that last year. This happened even though Google had applied for this patent in August, 2010, and Apple applied in August, 2011. The second patent awarded to the Cupertino tech giant is for the rounded-edge design of the original iPhone. 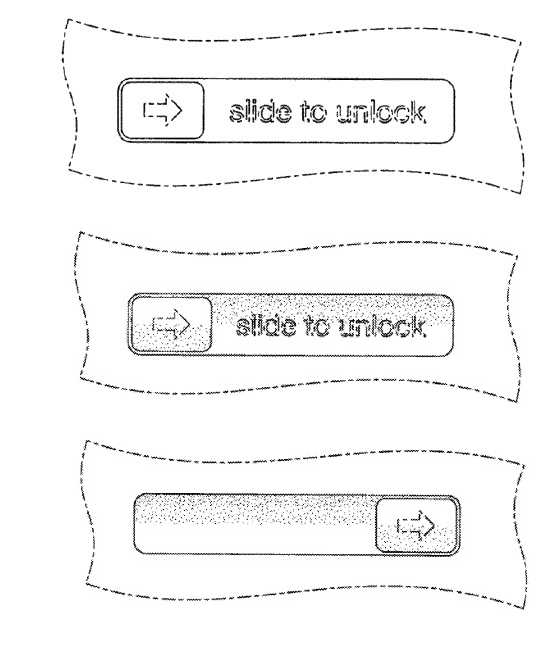 Apple had sued Samsung over infringing this patent in courts across the globe. However, with the introduction of the Galaxy S III, Samsung moved away from this disputed design.